We’re happy to inform you early season booking 2018 has started! One more amazing yacht rental and sailing season comes to an end, along with a wave of satisfied sailors in Croatia 2017. But this doesn’t mean the fun has to end here, as for some, this is just the beginning! We’ve already started booking for season 2018. Plan your holiday early, and have a pick of the finest yachts in our fleet at the greatest prices. Hire sailboats, catamarans, motor yachts or gulets for yacht rental in Croatia 2018. With a season as successful, fun, and adventurous as 2017, we can’t wait to see which wonders await in 2018. Grab your chance early and have something to look forward to. Wait, did we mention the Early season offer? Rent a yacht this early, have the best pick, plan the best holiday, and spend less money on your time sailing. There’s literally no low points in this offer. Visit Croatia 2018, the best possible way, sail between the 1000 islands and enjoy the crystal clear sea of the Adriatic. At a fraction of a price (we can’t get tired of this J) . 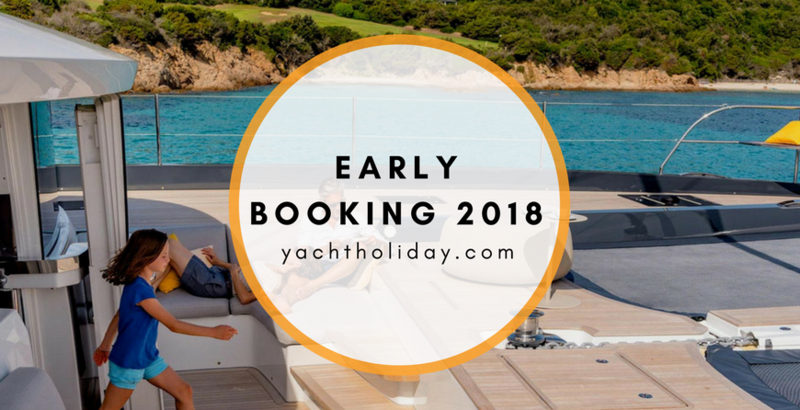 Early bird gets the.. yacht, so don’t wait, contact us or browse the yacht catalogue to find a suitable boat, and our real time search engine to book a boat. With our simple booking procedure you’ll get a yacht in no time. We’re looking forward to having you in our fleet!